List of all documents and resources available for research and planning. 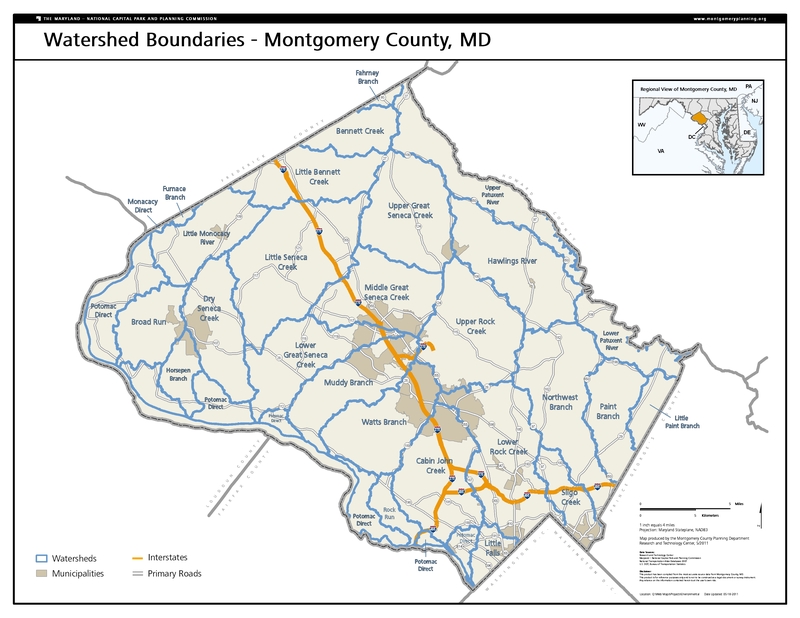 View watersheds in Montgomery County. Lidar derived 2foot contours, 2010 imagery, Soils and parcel information are also available.